Only 2 Trendline w/ Convenience Package models left in stock! Shift into overjoy with the 2018 Volkswagen Beetle. The Beetle has always been ahead of its time. And we've taken its iconic look to the next level. The Beetle unites classic styling and modern technology. The smartly designed front and rear bumpers add a sporty and modern touch to the Beetle. The power tilting/sliding panoramic sunroof opens to help give you maximum exposure. This rear spoiler on the Beetle gives a sleeker edge to the overall appearance of the car, so while you're turning corners, it's turning heads. Adding to its already sleek interior style, the retro-modern gauges add a touch of its iconic heritage while still providing the essentials you need, along with Kaferfach heritage-inspired glovebox, which enhances its retro-modern look. The 6-speed automatic transmission offers acceleration and smooth gear changes. But if you're looking for more control, shift manually in Tiptronic mode and, to enhance your experience, drop it into sport mode to amplify the fun. With the turbocharged 2.0L TSI engine, performance comes standard along with practicality. It's fast, fun and it gets an EPA-estimated 33 hwy mpg. 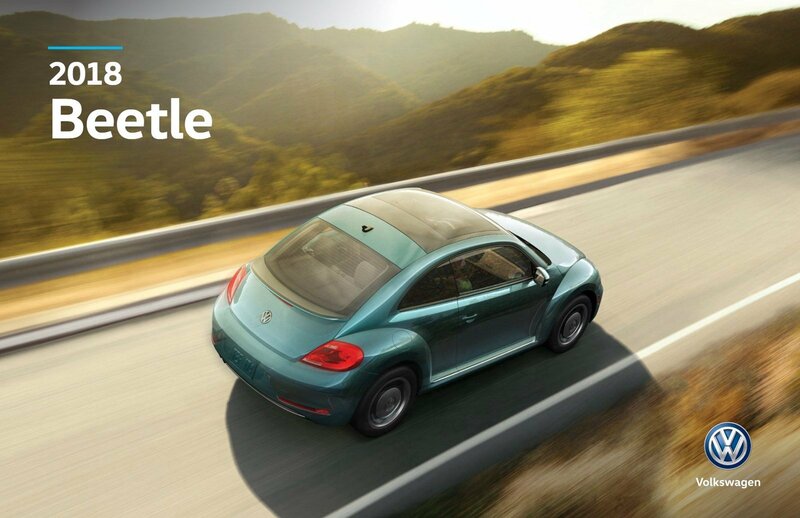 The Beetle is packed with cutting-edge technology, including app suite access, Apple CarPlay and Android Auto compatibility, a premium audio system, Bluetooth integration and SiriusXM satellite radio. It also offers a suite of safety features, including a rear-view camera, keyless access with push-button start, blind spot monitor and rear traffic alert.